Starting with a brief and affordable "Energy Checkup," BMA can assess your corporate approach to energy management, both how you buy utilities and how you consume them. 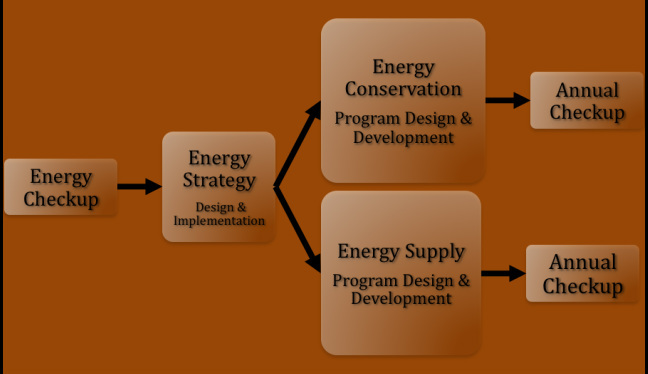 Creating and maintaining a top-flight energy program will increase profits, improve your competitive position in the marketplace, and also lock in a solid risk management approach to a very large expense item. For over 15 years, BMA's principal led these programs for a major retailer in Texas and helped optimize utility expenses that exceed $100 million per year. Regardless of what rates you pay for electricity, etc. you can unilaterally reduce expenses by committing to long-term conservation and efficiency...the cheapest energy in the world is the energy that you never use. As the following screens describe, we can also address important areas of opportunity that ultimately can reduce your company's utility expenses by 10-30% and maintain those savings over the long-term.